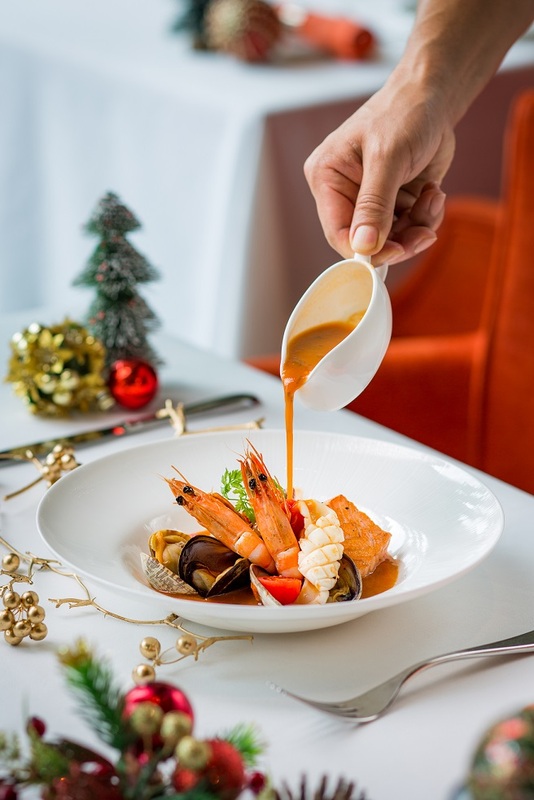 (Macao, Nov. 8, 2018) – Sands Dining will be launching Christmas and New Year dining promotions, offering guests a wonderful range of festive feasting. Seasonal menus are available at 12 award-winning restaurants, allowing diners a range of stylish culinary options to enjoy from Christmas Eve through to the New Year. Renowned for its authentic Italian seafood, pasta and pizza, this Christmas Eve the trattoria-style restaurant is offering a superb five-course seafood dinner featuring tuna carpaccio, sevruga caviar, ocean trout, scallops, risotto with clams and jumbo prawns and turbot fillet. Meanwhile Portofino’s New Year’s Eve menu includes Kumamoto oysters, caviar, goose liver terrine, veal and Parma ham tortellini soup, Venison Medallion and more. Featuring French, Chinese and international cuisine in a fun atmosphere with a European marketplace theme, Le Buffet is tempting diners with Cajun king prawns, grilled Mediterranean cod, seabass and carving stations for Australian prime rib on the bone and roasted butterball turkey. 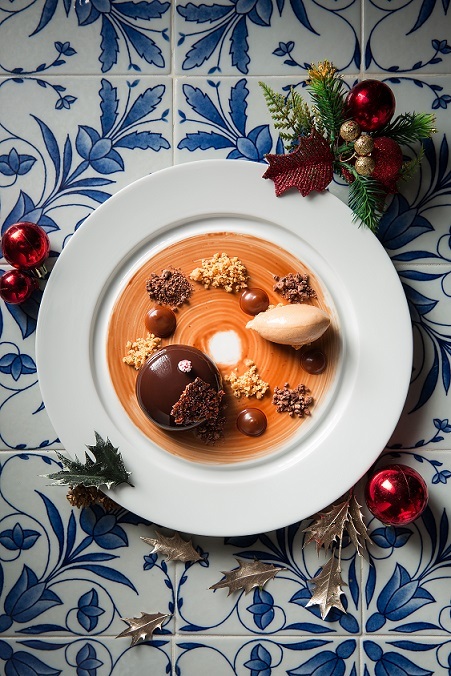 Diners will find live cooking stations for pan-fried foie gras, Boston lobster thermidor and cheese raclette, alongside suckling pig, poached drunken prawns and more treats added for Christmas dinner. 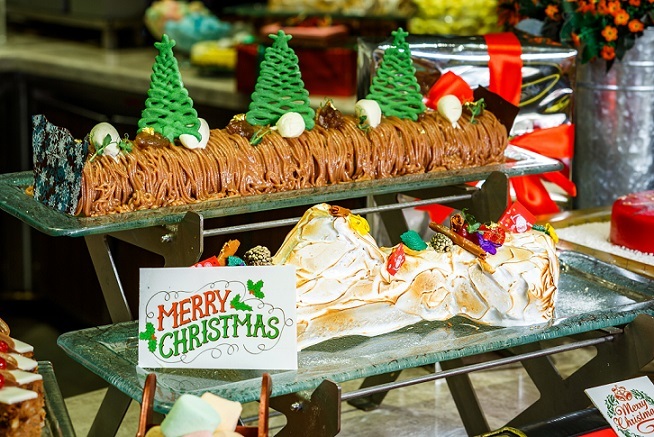 Desserts include all the favourites, with festive classics such as Christmas fruit cake, mince pies and buche de noel, with a fabulous chocolate fountain. Brasserie provides the ultimate French festive experience for diners looking for genuine Parisian joie de vivre this winter. Christmas and New Year set menus offer foie gras with black truffle sauce, seared Hokkaido scallops, baked beef fillet mignon, Boston lobster, roasted duck breast and much more. A perfect balance between savoury snacks and sweet bites, guests can enjoy the flavours and colours of Christmas at Brasserie’s Festive Afternoon Tea Set from Dec. 12, 2018 to Jan. 5, 2019. 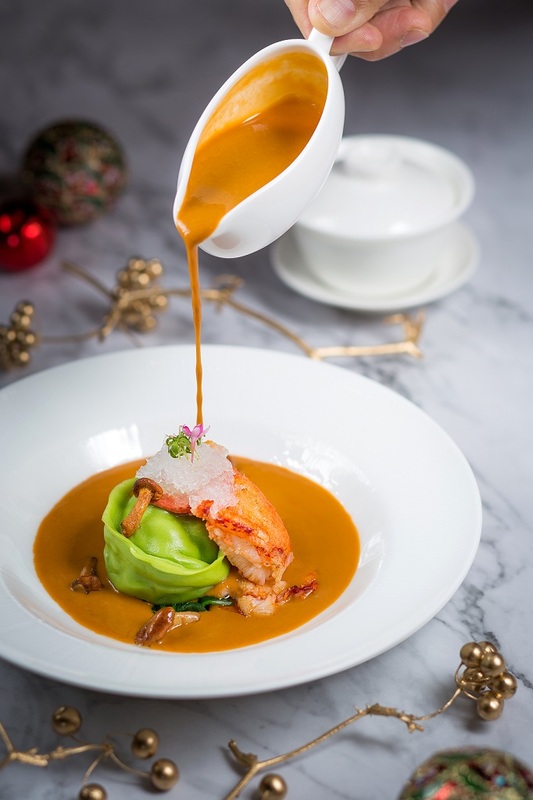 With its spectacular location on the 6th floor of The Parisian Macao’s Eiffel Tower and a panoramic view of Cotai Strip, La Chine’s French-influenced Chinese cuisine is offering delicious festive treats and exquisite surprises this Christmas and New Year. The seasonal lunch set menu offers pork dumplings with Alaska crab and asparagus jostle for space alongside smoked cod with lavender and scallions, wok-fried prime beef and crispy cumin lamb cutlets. Meanwhile steamed French blue lobster, crispy turkey roulade stuffed with morel mushrooms, fresh black truffle and shrimp mousse served with wok-fried brussel sprouts will enhance the atmosphere of Christmas dinner. Traditional Chinese cuisine served in a modern environment, signature restaurant Lotus Palace specialises in fresh seafood, spicy hot pot, signature dim sum and provincial Chinese dishes, as well as pan-Asian and Cantonese favourites. Festive diners can look forward to treats including luxury dim sum like steamed black truffle and lobster dumplings topped with gold foil, double-boiled fish maw and chicken soup, pan-fried A5 Miyazaki wagyu beef with pumpkin broth and white asparagus, grilled turkey roulade stuffed with seasonal mushrooms with garlic cream, light potato gnocchi, artichoke and shallots and more. 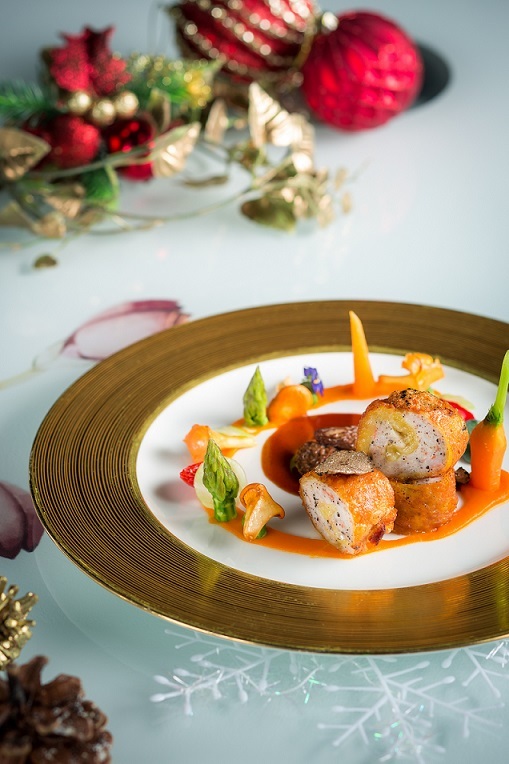 Delicious dining awaits at Sands Cotai Central this festive season, so guests are advised to book early for the hotel’s popular Christmas dinner and New Year menus. The Lounge, at Conrad Macao will be serving a mouthwatering Premium Christmas Tea Set from Dec. 1-31, 2018, featuring savoury snacks and sweet delights, along with a choice of tea or coffee or two Christmas cocktails/mocktails, priced at MOP 268**. For a truly decadent experience enjoy a Deluxe Afternoon Tea menu for just MOP 298**, which includes an exclusive limited edition Christmas Conrad Bear. Featuring Western, Chinese, Japanese, Portuguese, Southeast Asian and Indian cuisine, along with fresh seafood on ice, Grand Orbit’s international lunch and dinner buffets are among the most popular in town and sure to be in demand this holiday season. Diners will relish live carving stations featuring roast turkey, roasted prime beef rib, honey-baked whole pineapple ham and all the trimmings including brussel sprouts, cranberry sauce and gravy. Dinner includes foie gras, oysters rockefeller and double-boiled abalone and sea cucumber in chicken soup, with a roasted lamb rack station for New Year’s Eve dinner. 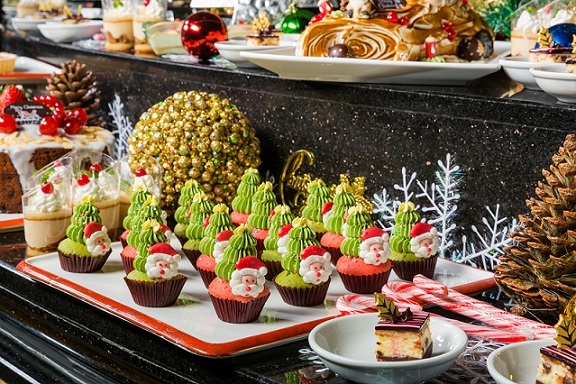 Those with a sweet tooth will love the dessert buffet including a chocolate fountain alongside Christmas favourites. Enjoy classic festive flavours with family and friends. From Nov. 17, 2018 until Jan. 2, 2019, order your favourite roasted dishes including roasted turkey, whole chicken, beef striploin and ham, complete with your choice of sides. The Takeaway Package set includes Margherita pizza, ham and pineapple pizza, chilli seafood pizza, garden salad, canapés and a choice of turkey or roasted Australian beef striploin, traditional chocolate log cake, assorted cookies and two bottles of juice for just MOP 2,680*. To order please call +853 8113 8910 or email macau.grandorbit.reservation@conradhotels.com. This Christmas Day, celebrate with a divine Afternoon Tea Buffet at Holiday Inn Macao Cotai Central’s elegant lobby lounge. With a delicious selection of international treats and desserts, including Christmas pudding and mini coffee yule log cake, coffee or tea, this is a perfect festive indulgence. Available on Dec 25, 3:00-6:00 p.m.
Reservations can be made by calling +853 8113 8983. Offering a genuine taste of Portugal, Chiado Portuguese restaurant was developed in partnership with celebrity chef Henrique Sá Pessoa, a modern, casual fine-dining concept emphasising traditional dishes. This winter, experience exquisite set lunch and dinner menus offering sautéed squid and prawns, octopus salad, creamy courgette soups and roasted pumpkin soups, Mediterranean red tuna tataki, seared scallops, beef tenderloin, green asparagus risotto, dover sole fillet, Iberian pork loin and more. Tempting desserts include chocolate cigar or green apple tart. While regularly rated as one of the best steakhouses in Hong Kong and Macao, Copa Steakhouse is also renowned for outstanding seafood. Superb set menus this Christmas and New Year’s Eve will delight diners with smoked Iberico pork belly, Hokkaido scallops, chili-cumin lamb medallions, Christmas turkey, ragout of M7 Australian wagyu beef, butter-poached French blue lobster, magret duck breast, venison loin, jerked black kingfish and much more. For those with the room, desserts include traditional Christmas pudding, brandy crème Anglaise, mince pies and Christmas macarons. Dinner menus are priced at MOP 888* on Dec. 24, 25 and 31. This Christmas and New Year, diners at 888 Buffet can anticipate a truly international selection of festive delicacies. 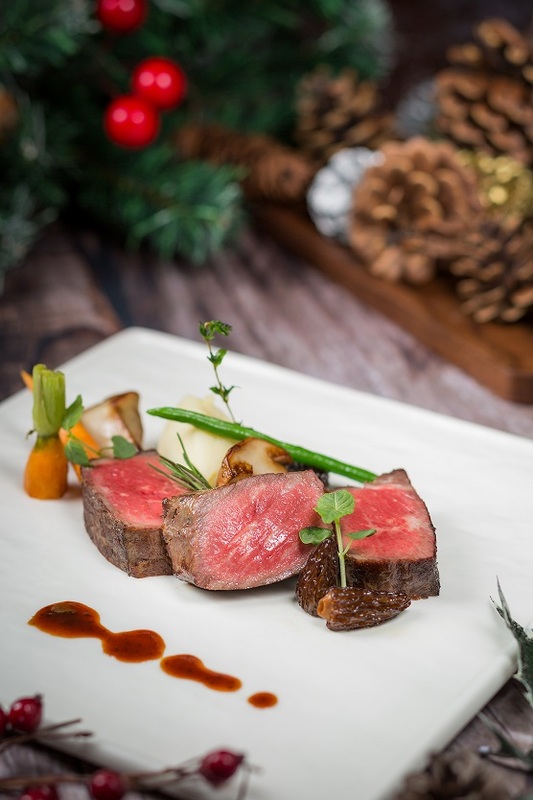 From Australian kobe beef in teriyaki sauce, Asian rack of lamb, wagyu oxtail in port wine sauce, Rougie foie gras, baked lobster with black truffle, seared tuna loin and tequila-marinated garoupa fillet, and a range of delicious Christmas desserts, there is something for every appetite. 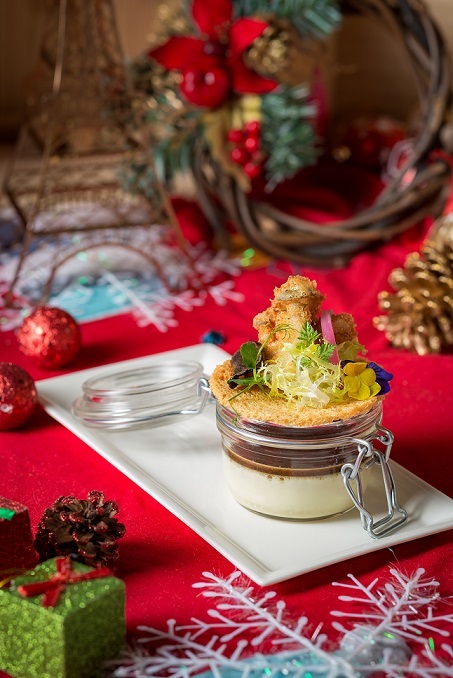 Photo caption: Sands Dining will be launching their Christmas and New Year dining promotions. Don’t miss out on the widest and most delicious range of festive feasting available! For more information about Sands Resorts Macao, please visit https://en.sandsresortsmacao.com/. For more information, please visit http://www.sandsmacao.com.